The November issue of Chirp is coming to YOU! 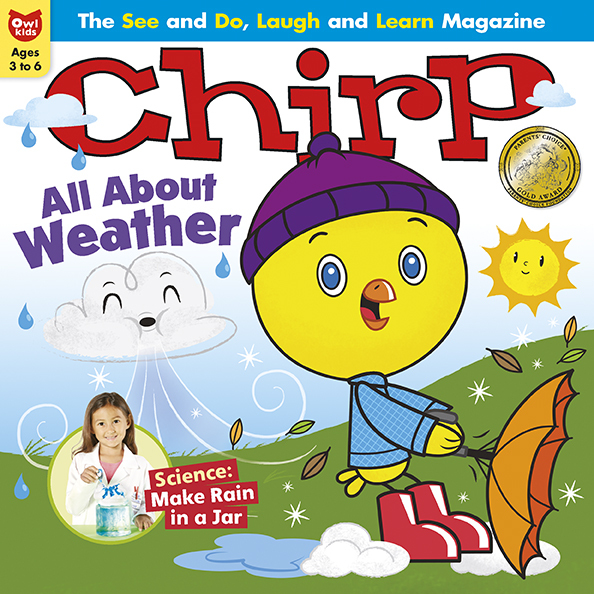 The November issue of Chirp is all about the wild and wacky world of WEATHER and it’s coming to your mailbox and to newsstands soon! Click here to colour a picture of Chirp playing in the Autumn leaves. Contest Winner: Chirp’s Radio Fly Contest!